Technology is not what we use, it is what we live. It can be said that Technology is a campfire, around which we sit & tell our stories. One of the greatest inventions of nowadays Technology is ‘Smart Watch’. Smart watch has become a ‘tech companion’ to execute day to day activities. When retail stores & online shopping websites are flooded with so many choices to choose from – when a Tech person steps in to buy a Smart Watch, it makes him more confused instead of being selective. 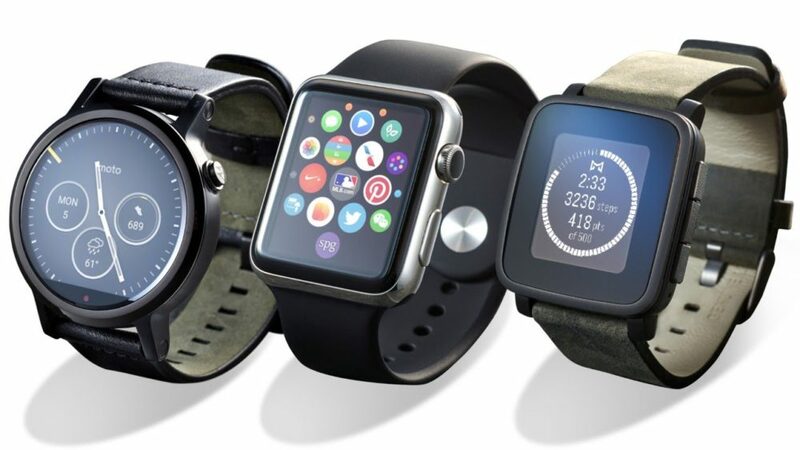 So hereby we are presenting a list of best Smart watches to be bought along with their features & specifications. 1. Apple Watch 4: One of expensive Smart watches launched in September 2018 along with iPhone XS and iPhone XS Max is Apple Watch 4. Having two options, GPS & GPS + Cellular, it has respective two dimensions of 40mm case (324×394 pixels), 759 mm2 display area and 44mm case (368×448 pixels), 977 mm2 display area. An iPhone 5s or upgrade version of phone with iOS 12 or later is required to connect this watch to your Phone. It has S4 64-bit dual-core S4 processor which is up to 2x faster than S3 processor. Attractive features which make this watch worth buying are: GPS, GLONASS, Galileo and QZSS, Barometric altimeter, Electrical heart sensor, Optical heart sensor , Ambient light sensor , Water resistant to 50 metres, Improved accelerometer up to 32 G-forces and with capacity of 16GB. This unique smart watch has Built-in rechargeable lithium-ion battery which is not impressive as it has charging up to 18 hours only. An ECG feature to track heart rate in this Apple Watch 4 is unique one. 2. 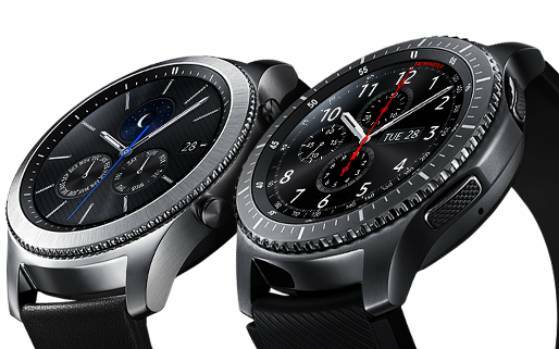 Samsung Galaxy Watch: For Samsung phone users, this smart watch comes out to best buy as it has limited connectivity with iOS. Having impressive battery standby time of four days, specifications of this smart watch are 46 x 49 x 13 mm & 41.9 x 45.7 x 12.7 mm respective for 46 mm & 42 mm sizes, display is 1.3” (33 mm), Circular Super AMOLED (360 x 360), Full Color Always On Display and Corning Gorilla Glass DX+. This smart watch has Tizen Based Wearable operating system 4.0. Good for Fitness lovers as this Smart Watch comes with 39 inbuilt exercises & 6 auto tracked exercises. Water Resistance is 5 ATM / 50 meters and Mix & Match option is available to enhance look to choose own colour strap. Disappointing feature of Samsung Galaxy watch is Bixby which not where stands in comparison of Siri or Google Assistant. Some social networking apps like Facebook, whatsapp or Google maps may be little tricky when using this Smart watch. 3. Fitbit Versa: The one is easy on Pocket and more compatible for health conscious people having 15+exercise modes, smart track for running, biking & heart rate tracking. Offers personalised Cardio Fitness Tracker, Swim proof & track swims, tracks sleep & female health. 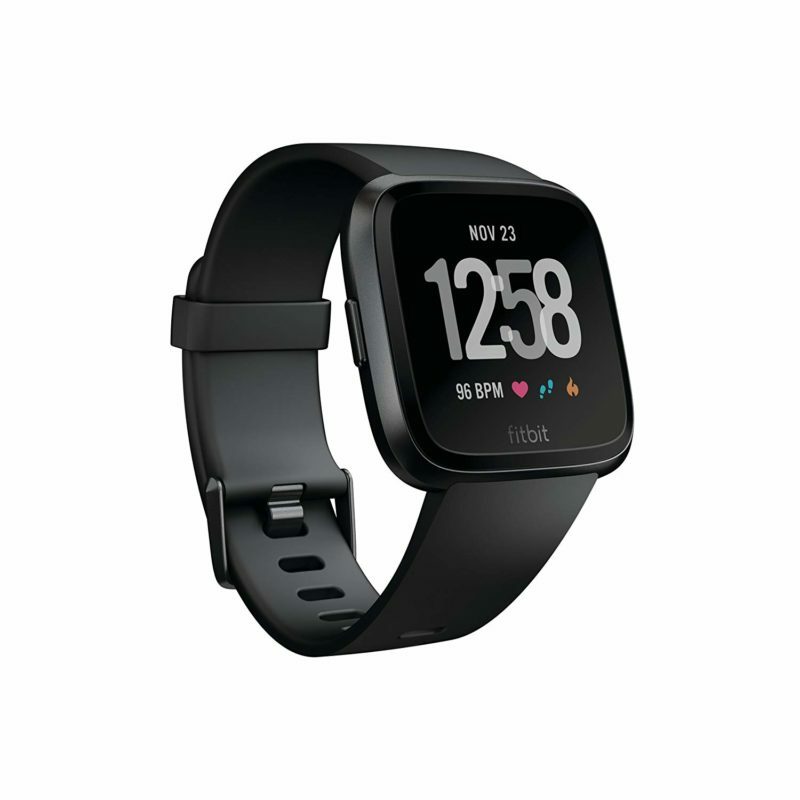 Fitbit Versa available in two sizes Small (140 mm – 180 mm)& Large (180 mm – 220), 34.0 mm diagonal width and having screen size of 24.075 mm x 24.075 mm. Display is Color LCD & touch screen. Having Optical heart rate monitor, 3-axis gyroscope & accelerometer, battery life is same as Samsung Galaxy Watch, upto 4 days in one time two hours charge. This smart watch works with both leading Android & iOS devices. The drawback stands in terms of looks & design as seems little childish. Yet it is an affordable one among options, so it can be chosen by neglecting rounded design that may not suit everyone. 4. 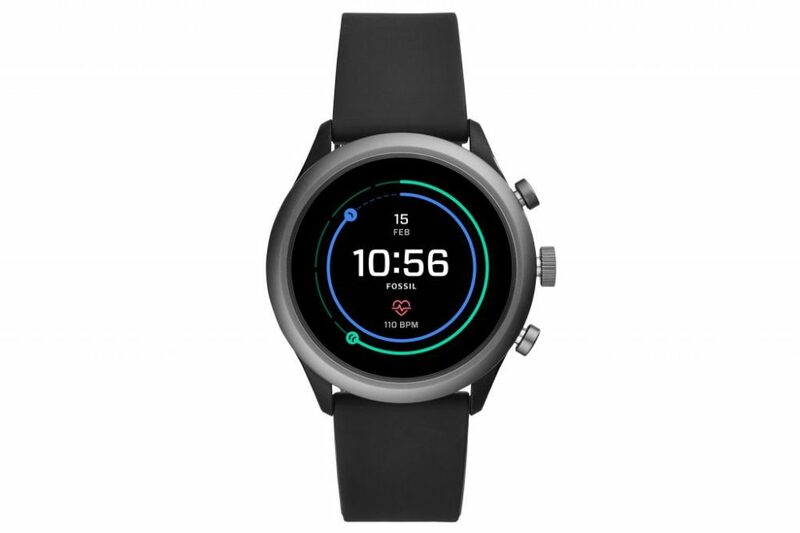 Fossil Sport Smart Watch: Quite affordable and great in functions, Fossil Sport Smart Watch is extremely lightweight to wear. It has Qualcomm Snapdragon Wear 3100 processor having case size of 43 mm. Main attractive functions are Built In Fitness Tracker, Custom Goal Tracking, Heart Rate Tracking, GPS, Swimproof, Interchangeable Watch Band, Control Your Music, Personalize Your Dial and Google Pay. This smart watch is compatible with both Android & iOS mobile devices. Battery life is not quite impressive of this Smart Watch Model as frequent use of this watch will provide only 24-48 hours of standby & it can be longer if used in low power mode for up to 2 days. Storage is 4GB and having sensors for Altimeter, Gyroscope, Microphone, Accelerometer, Untethered GPS, Heart Rate and Ambient Light. Being pocket friendly and having all essential features, this Fossil Sport Smart Watch is good to buy with options of 22mm straps. 5. 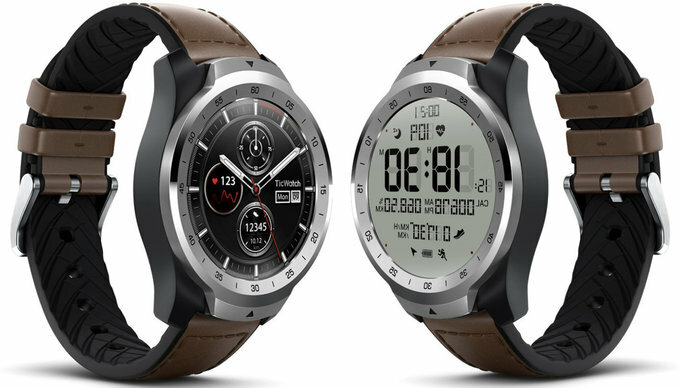 TicWatch Pro: One of premium Smart watches, TicWatch Pro comes in two variants, TicWatch Pro Liquid Metal Silver & TicWatch Pro Shadow Black (Only Difference is colour). Having same operating system as in Fossil Sport Smart watch – Wear OS by Google & same memory storage of 4GB, its processor is Qualcomm Snapdragon Wear 2100. Display of TicWatch Pro is 1.39” AMOLED 400 x 400 + FSTN display and dimensions are D45mm x 14.6mm. Wallet option available is Google Pay and battery metrics are as in Essential mode – it can long last up to 30 days, in mixed usage upto 5-30 days and in Smart mode – for only 2 days which is bit disappointing. Good Assistant is built-in in this Smart Watch & has 1,000+ watch faces with Google Play. It is water & dust resistant same as any smart watch and has body sensor, Magnetic Sensor, Ambient Light Sensor and PPG Heart Rate sensor. This smart watch is compatible with both Android & iOS mobile devices. Apart from given selective watches, there is long list to buy from for Smart watch lovers like, TicWatch E2, Apple Watch3, Misfit Vapor 2, Fitbit Ionic, TicWatch C2 and TicWatch S2. It is irrefutable that Smart watch is not only vital accessory, but became need of the hour as tons of impressive features available make these smart watches worth buying weather to pay at grocery store or tracking steps in mountain climbing.